As your realtors, The Doyle Team will work hard to find the right buyer and protect your best interests! Buyer’s agents are showing short sales and foreclosures and you want to be able to compete by getting your home in show condition and a good price. We will tour your home with you and give you pointers on staging your home and getting ready to go on the “market”. Because of our team system, we will have more time to spend with you – you get the benefit of a team of specialists, all committed to helping you reach your goal. What happens when our home is shown? When our office calls to set an appointment, they will wait for confirmation from you if that is the instructions and then the buyer and their agent will go in using the supra (lock box). Some things to remember: agent may make appointment and not show up. Hopefully they will call to cancel and reschedule. Buyer and agent could show up early or late. It is hard to set the schedule; sometimes buyers look for a while in a home and sometimes they are real quick. Showings could last 3 minutes to 3 hours. What happens when someone calls to show (they are sitting outside your home in the car). How Long Will It Take to Sell Our Home? There are so many homes on the market and buyers want to make sure they see everything and aren’t as quick to make up their minds (think they are going to miss something) Putting your home in the best show condition and the best price is the best advice. We will never pressure you on anything – we make that commitment to you right up front. 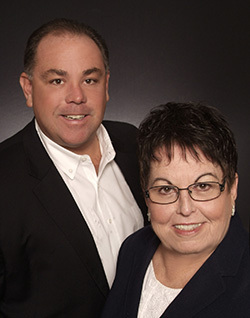 Our goal is to be your realtors and trusted advisors and make selling your home a rewarding experience. As your realtors, we will assist you through the entire process from start to close of your home. Why Do I Need To Disclose? The Seller’s Disclosure is required (unless you are exempt-Section 15 of the disclosure) It is best to disclose everything. For instance, there are no leaks in the roof because you fixed it. Explain on page 2 there was a leak and what was done to fix it., etc. When I have a contract and the buyer has the home inspections, what happens then? The home inspections…whole house inspection lasts up to 3 hours. Buyer and inspector and relatives and friends show up. Termite inspection usually the same day or close. The radon inspection lasts 3 days. The inspector sets up the machine and then picks it up 3 days later. During that time, it is advised not to keep windows and doors open. After all inspections the buyer will ask that items in need of repair are repaired. You are back into negotiations. We’ve sold our home…now what? When we have an accepted contract on your home, we send out a timeline sheet and items that will happen from contract to closing. We guide you through the entire process…listing to contract to close!! !